This summer, the Northwest Museum of Arts & Culture becomes a working television production studio and a celebration of the dozens of local artists behind the hit Syfy TV series 'Z NATION.' Museum visitors will be able to watch scenes being shot for Season Four of 'Z NATION,' using the galleries as sound stages and the grounds as set locations, and learn how a real television series is made. In addition to getting a glimpse behind the scenes, visitors will also learn more about the local crew members that have taken their passion and talent for art and turned it into careers in filmmaking. 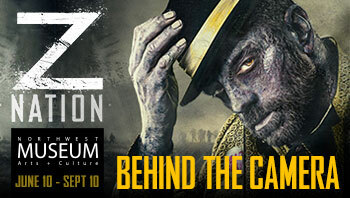 Plus, signature props and costumes from the show, amazing special make-up effects and masks, interactive displays about the process and tools of film production, along with the history of Z Nation and zombie lore. Z Nation is open now and runs through September 10. Visit www.northwestmuseum.org. Before Season 4 can start production, 'Z Nation' needs a few good zombies. Auditions will be held at the Northwest Museum, one of the filming sites for the Spokane-based Syfy show. Zombie wannabes and individuals with a passion for acting must be 18 or older to audition. You can complete an online form in advance of the auditions, at www.northwestmuseum.org. Auditions run Saturday, June 17 and Sunday, June 18. If you love good food you don't want to miss the biggest food event ever to hit Spokane. It's this Thursday, June 15 through Sunday, June 18 at Spokane Valley's CenterPlace Regional Event Center. 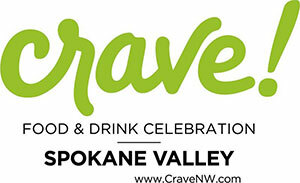 Crave NW showcases great chefs and great food. For tickets and the complete schedule of events, visit cravenw.com. Manito Park Bench Cafe is open for the season and continues this year with their Free Summer Concert series each Friday. This Friday, June 16, enjoy the music of Wyatt Wood from 6-8pm. Great snacks, sandwiches, salads, ice cream, espresso drinks and more are available for purchase. Beer from No-Li Brewhouse also available for purchase during concert hours. 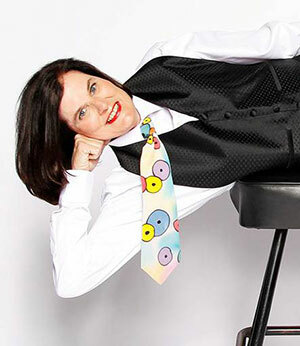 Paula Poundstone of NPR's 'Wait Wait...Don't Tell Me!' is coming to Spokane for a night of comedy Thursday, June 22, 7:30pm at the Bing Crosby Theater. This event is presented by Spokane Public Radio. She is an audience favorite for her razor-sharp wit and quirky observances. Tickets are available at www.ticketswest.com or 800-325-SEAT. Proceeds from the event benefit Spokane Public Radio. Fox Presents the Grammy award-winning Lyle Lovett, in concert with his Large Band. This performance kicks off the Fox Summer Series. A singer, composer and actor, Lyle Lovett has broadened the definition of American music in a career that spans 14 albums over three decades with his unique blend of Americana, swing, jazz, folk, gospel and blues. The Concert is Friday, July 14 at 8pm. A full bar and grilled to order burgers & brats from Charley's Catering is available for purchase. Tickets are available at the box office, or by calling 509-624-1200 and at www.ticketswest.com or 800-325-SEAT. 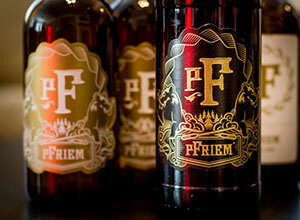 Award winning and highly acclaimed Bend Oregon brewery, pFriem is joining Nectar Catering and Events for a 5-course plated dinner with Executive Chef Steven Swanson. The event is Tuesday, June 20 at the downtown Nectar event center. Menu details and tickets are available at nectarcateringandevents.com. This summer, The Garland Theater will have free family friendly movies through the season. This week's featured film is 'Kung Fu Panda 3' and runs Monday, June 19 through Friday, June 23. For show times and more information, visit garlandtheater.com. This Thursday, June 15, musical performer is local singer/songwriter/guitarist Nate Ostrander. Dan Sterrett will have handbags and Molly Myers will have jewelry on display. Music runs from 5:30-7:30, $5 admission. On Sunday, June 18, Randy Casey & Root Seller is guest performer. Music runs from 5:30-Sunset, admission is $10. 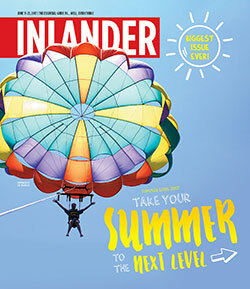 This week the Inlander will publish the annual Summer Guide issue which continues to break records annually with 160 pages for the 2017 edition. It will be the largest Inlander ever produced and it's on stands starting today. The special Summer Guide issue has been published every year since 1994, and this year's edition will feature a gloss cover which highlights the special issue, and is necessary to hold the double-size Inlander together. The 104-page Summer Guide pullout section features hundreds of events, activities and recreational ideas to keep readers entertained all summer long. Throughout the guide are editorial staff recommendations for theater, arts, festivals and food, as well as, kids, biking, outdoors and summer sports, which is followed by a 12-week, day-by-day calendar of events from now until Labor Day. 51,000 copies will be circulated at over 1150 Inlander distribution points across the Inland Northwest. Some copies are distributed on Wednesday, June 14, but all distribution points will be filled by Thursday, June 15. This Saturday, June 17, the Bing Crosby Theater presents The Monsters of Schlock, the world's most extreme two man circus sideshow, comedy, magic extravaganza. Two performances, one kid friendly at 6pm and an adult show at 8:30. Ticketswest has your seats. What better way to celebrate Father's Day than the 1st Annual Daddy Daughter Dance, this Saturday, June 17 from 5-8pm at the Knitting Factory. Live DJ, snacks, desserts, photographs and more. Go to sp.knittingfactory.com for your tickets. 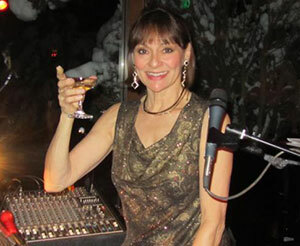 Diane Copeland entertains on piano and vocals this Saturday, June 17 night from 6:30-9pm at Laguna Cafe, 2013 E. 29th. Best known for his grand horror-themed theatrics on stage, Alice Cooper is still rocking and shocking audiences across the world. With major albums such as School's Out, Billion Dollar Babies and Muscle of Love, the Alice Cooper band has been a staple in American hard rock for more than four decades. He's at Northern Quest with Dokken this Sunday, June 18 at 7:30. Go to northernquest.com for more information and tickets.